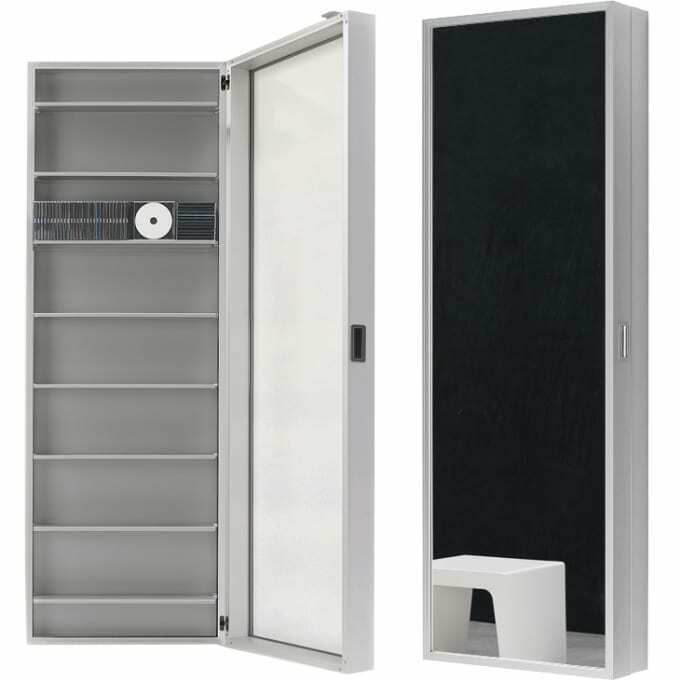 Very space-saving Wall cabinet with flexibly adjustable shelves for CDs or DVDs. Besides the here offered version as Music Box the Box collection from the Kristalia is also available as wardrobe (Coat Box), shoe cabinet (Foot Box) or a multifunctional element for storing various items of daily life (Duty Box). Do you have a question about "Music Box"? How can we contact you?